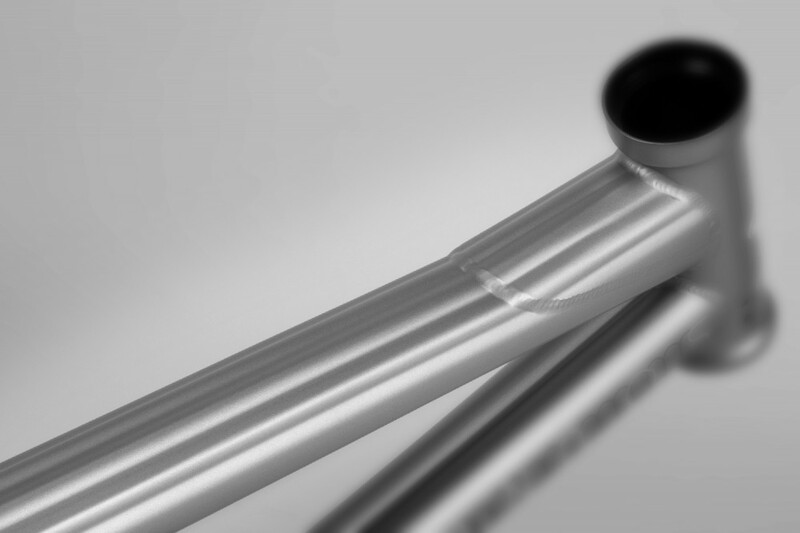 Down tube dents are common with our competitor’s frames and they significantly weaken the front end of your bike. Our double-butted, 1.45″ diameter down-tube feature our proven Wave shaping to fight denting against contact made from a rail, ledge, coping and whatever else happens to get thrown at it. Take your hand and run it along the underside of one of our frames with Wave tubing. You will no doubt notice all the ridges. The tighter radius of the waves stiffens the tube making it harder to dent. While it’s not able to eliminate every dent, it will take far more abuse than a non-Wave down-tube. Important to note is that it adds minimal weight compared to a traditional tube. Some of our frames have the extra re-inforcement of Wave Gusset right where the head-tube and down-tube meet.